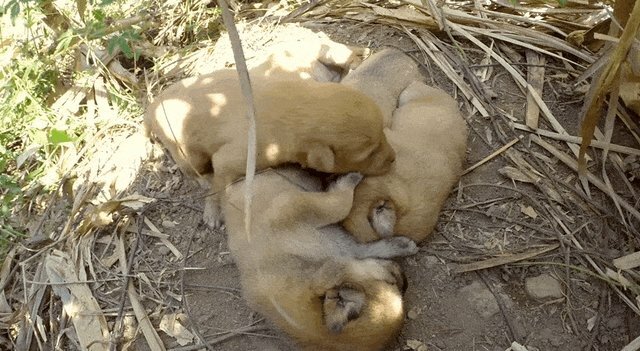 A woman in Northern Thailand made an adorable discovery when she stumbled across a mother dog and a pile of sleepy puppies in her backyard. The YouTube user, who goes by the name "Yoga Yak" online, set up a GoPro camera to record them snoozing in the shade, then looped the footage in a relaxing 11-hour-long video. 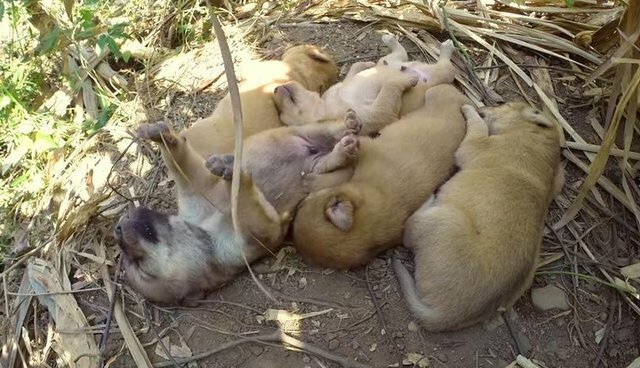 Warning: watching these snoozing pups may induce zen-like feelings of happiness. 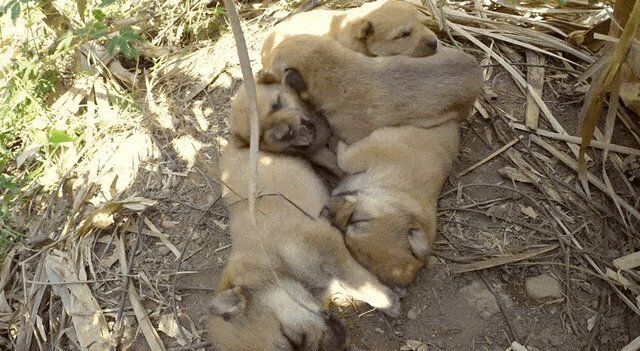 Even if you don't have 11 hours to spend staring at the screen, just a few minutes of these sleepy puppies is sure to make you feel warm and fuzzy. So will the news that the "puppies and mamma dog are now newfound family members and are all doing very well," according to Yoga Yak's post. They mostly just yawn and nuzzle the whole time. There are lots of stray dogs in need of help in Thailand; to find out how to support rescue efforts, visit this page.